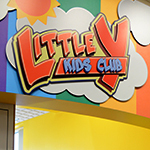 Little Y is a supervised in-store play area where children can enjoy educational games, toys and creative craft projects, FREE with Silver Savings card, all while you do the grocery shopping. Our trained professionals will watch your children for up to two hours so you can shop at your leisure. Come see us during your birthday month! 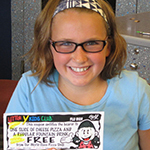 Any child registered with Little Y who visits during their birthday month will receive a coupon for a FREE slice of cheese pizza & soda from our Pizza Shop. Each week the children can create a fun educational craft project! Available only at Big Y's Little Y. 3 years to 9 years. After a child turns 10, they are no longer allowed in. Big Y locations with Little Y Kids Club play areas. 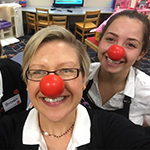 To ensure your child's safety, Big Y® has implemented an extensive security system for the Little Y Kids Club® . Rules to ensure the safety of the children.